A lack of continuous medical care played a role in the death of an Adelaide Hills girl who suffered multi-organ failure after contracting a common virus, the coroner has found. Briony Klingberg, 10, was seen by several doctors over about a week in January 2015 after becoming feverish and unwell at her Adelaide Hills home. But none recognised she was suffering from the herpes simplex virus which caused her organs to fail. 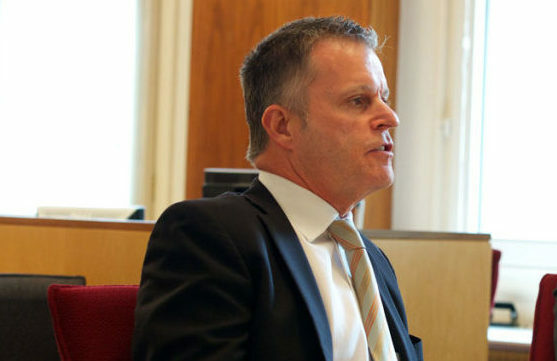 In handing down his findings today, Coroner Mark Johns said no single medical professional had an opportunity to observe the progress of the girl’s illness. “It is easy to say in retrospect that continuity of care would have been highly desirable,” Johns said. Early in her treatment, Briony’s parents took her to the Women’s and Children’s Hospital where doctors detected ulcers on her throat, but she was sent home after about an hour. The next day she saw a different doctor, who made his own assessment, at the Mt Barker Hospital. Johns said had the girl been returned to the Women’s and Children’s Hospital instead, a comparison could have been made with her condition from her previous attendance. “Such a comparison would likely have raised concerns and prompted further investigations,” the coroner said. Johns said he was not being critical “in any way whatsoever” of the decision of Briony’s parents to take her to the Mt Barker Hospital. They viewed it as a “continuous seamless process of care” flowing from her previous presentation. “In hindsight, it is plain that was not so,” the coroner said. However, he was critical of the final GP to see Briony. He said this doctor failed to take observations of the girl during a consultation, took delivery of significant blood results by phone without writing them down and failed to immediately tell the girl’s mother that she should be taken to hospital. “In saying these things I acknowledge the evidence that by then it would, in all likelihood, have been too late to save Briony’s life,” Johns said. When Briony was returned to the Women’s and Children’s Hospital she suffered a seizure in the car park and died in the early hours of January 18 from organ failure.